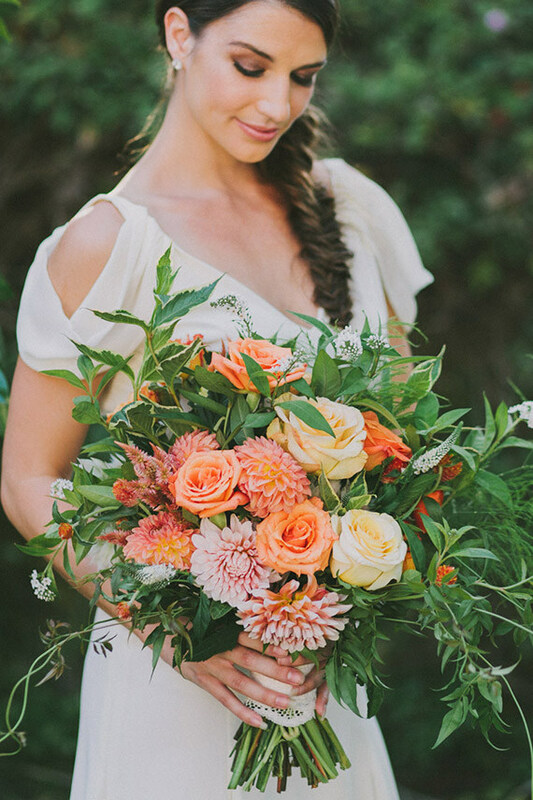 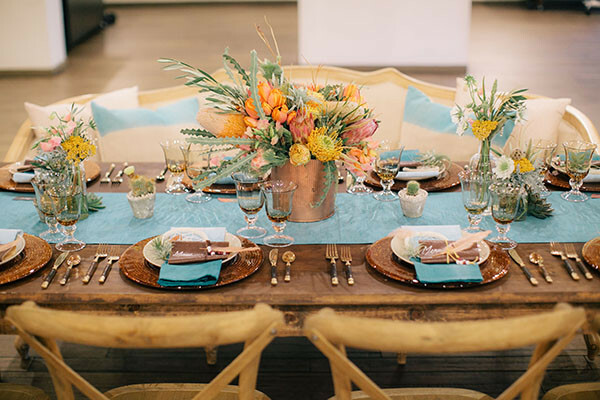 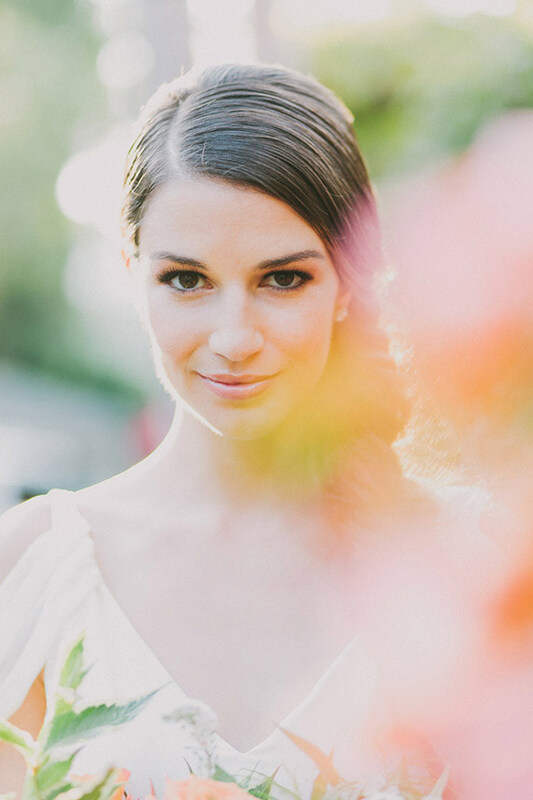 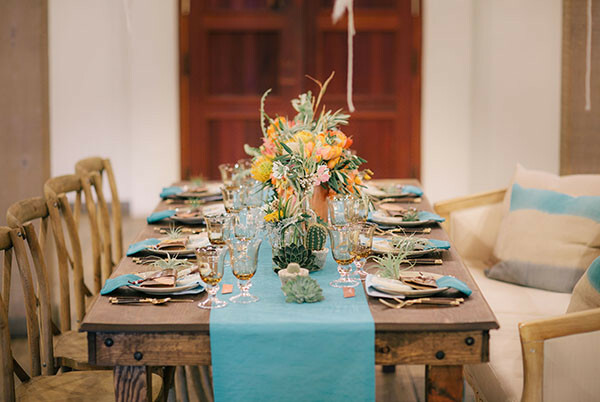 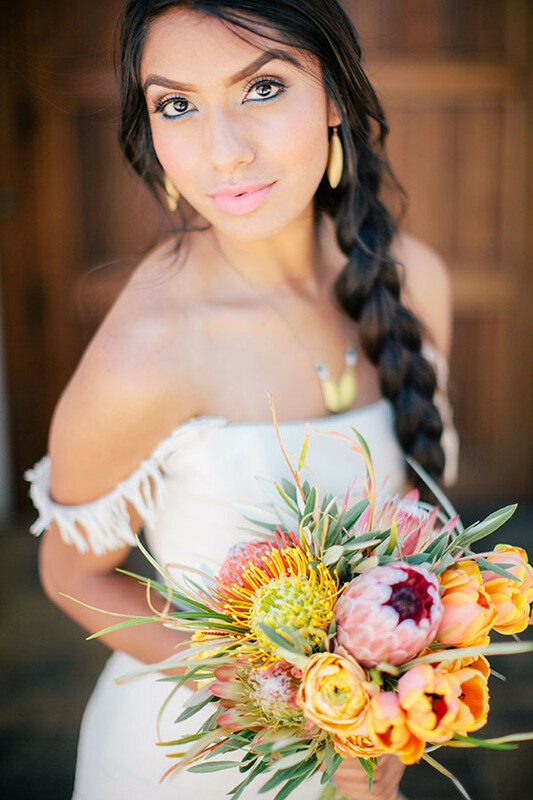 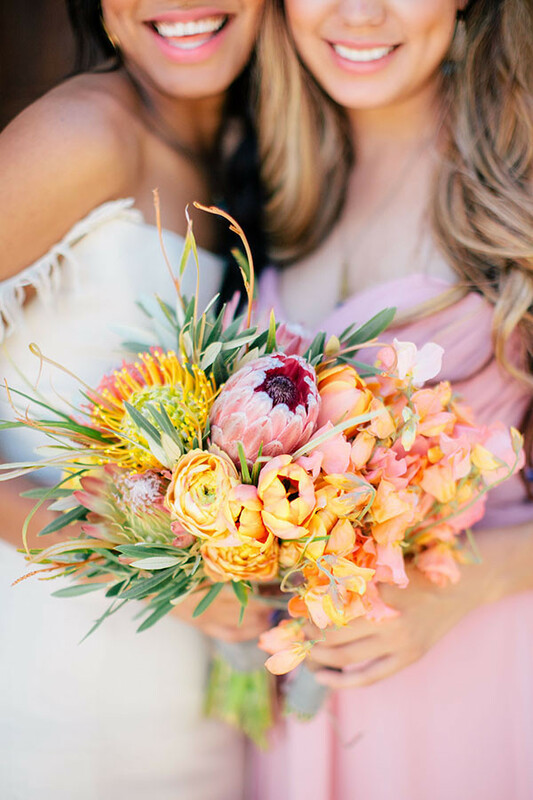 As the East Coast digs itself out of the seemingly never-ending winter and the West Coast basks in the early spring sun, we thought this citrus summer wedding shoot from Fondly Forever Photography and Summer Newman Events would get everyone in the mood for warmer weather! 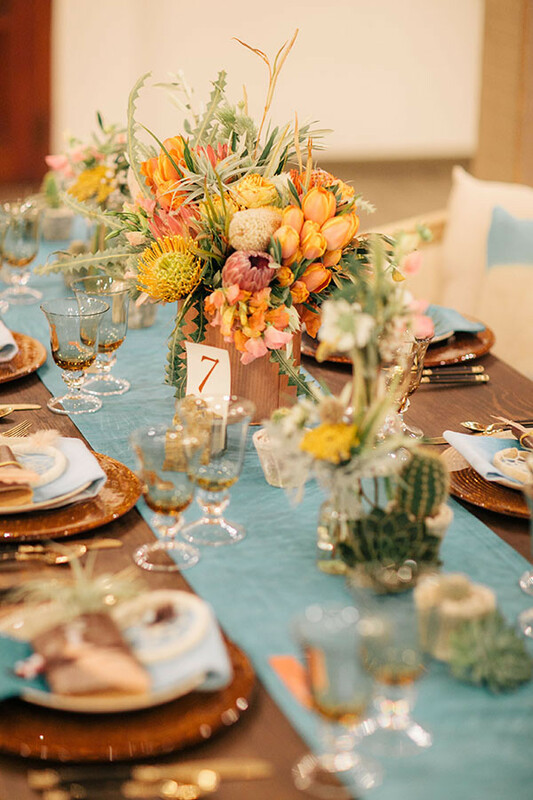 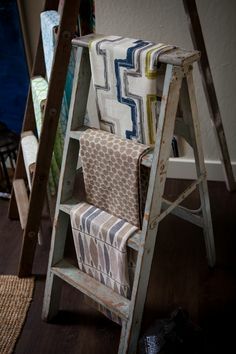 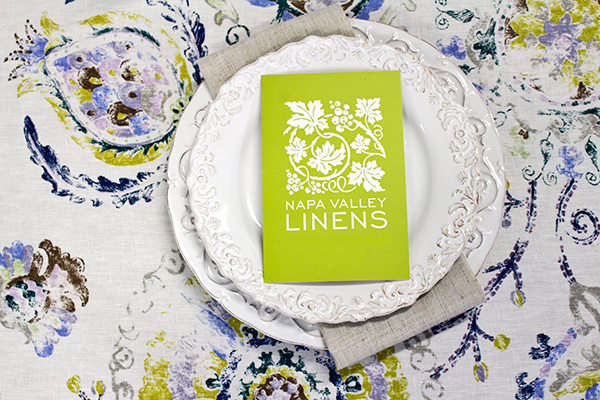 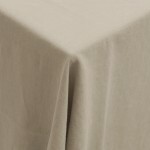 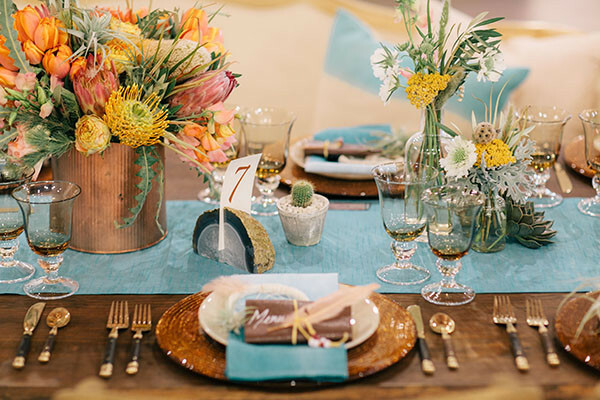 We love the pairing of vibrant Southern California hues with our chic, neutral Ankara Taupe linens, not to mention the gorgeous feature on 100 Layer Cake! 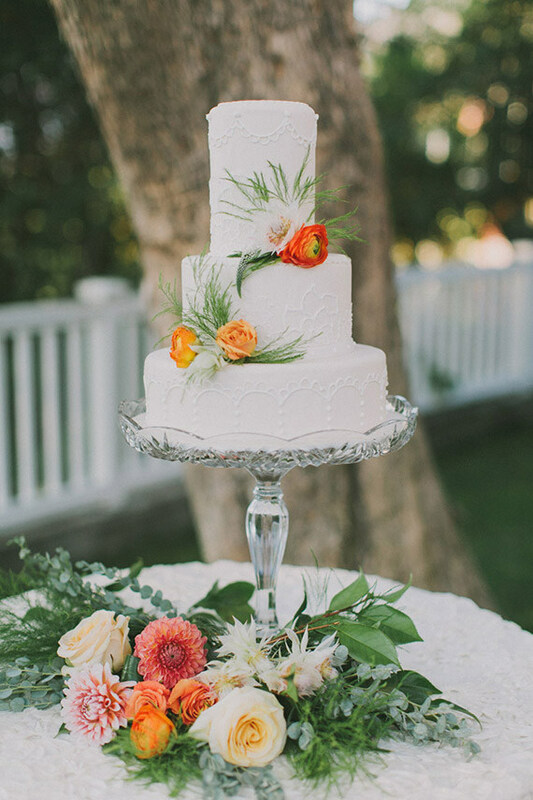 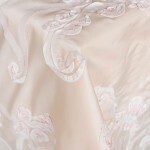 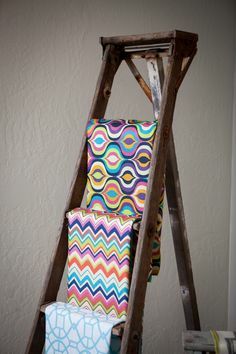 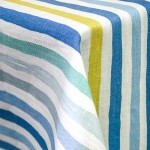 See more on 100 Layer Cake! 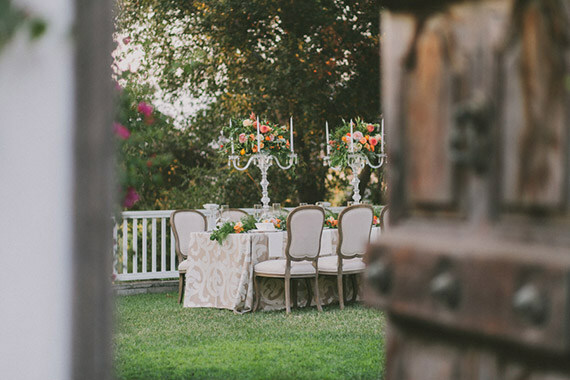 One look at this California chic shoot and you can hear the birds chirping, smell the fresh grass on the summer breeze, and feel the warmth of the sun. 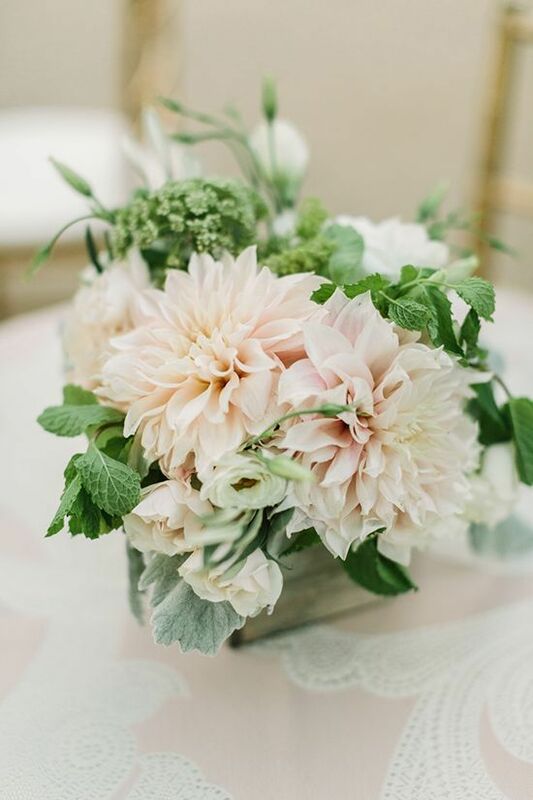 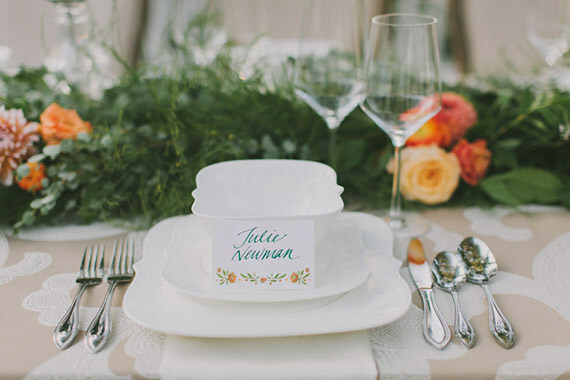 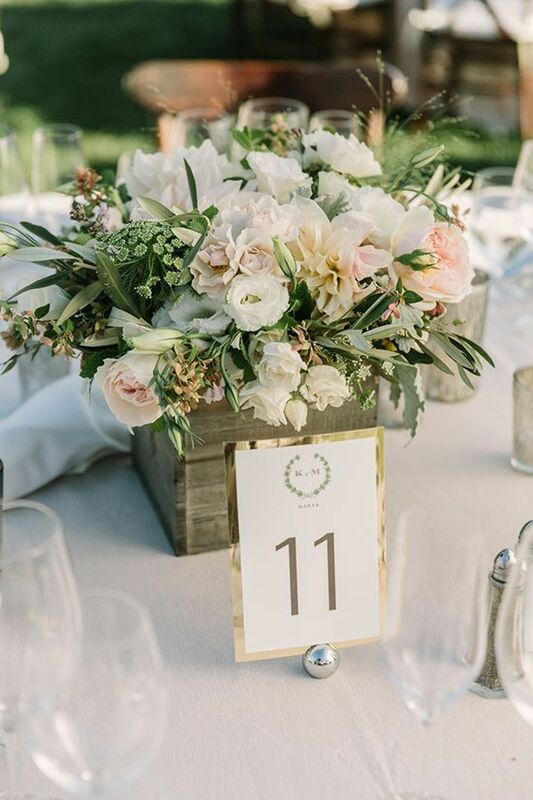 To perfectly capture the laid back elegance of a Southern California wedding, Summer Newman designed a shoot that gorgeously contrasted lush green foliage and vibrant flowers with neutral prints. 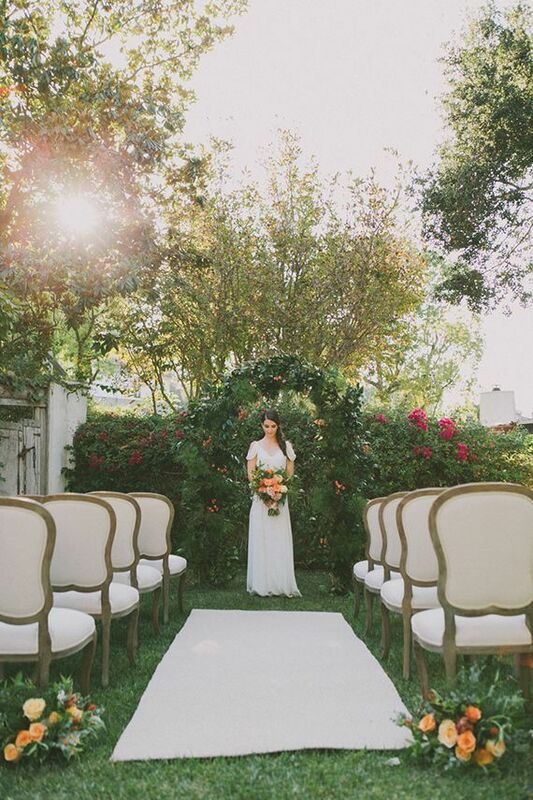 To capture the laid-back style of the Hollywood Hills, the aptly named Summer set the shoot in the backyard of a sophisticated SoCal home of a friend. 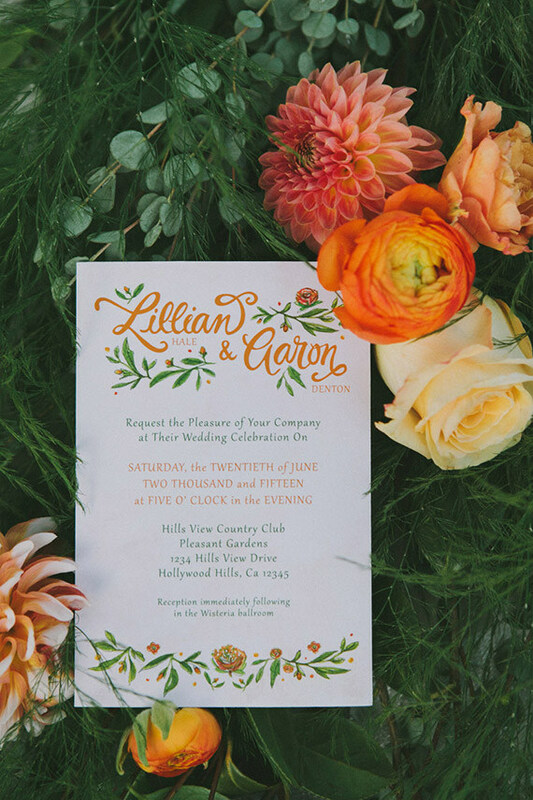 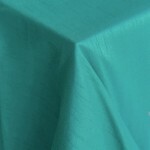 Verdant green hedges surrounding the lawn made it into an oasis of calm and vibrant colors. 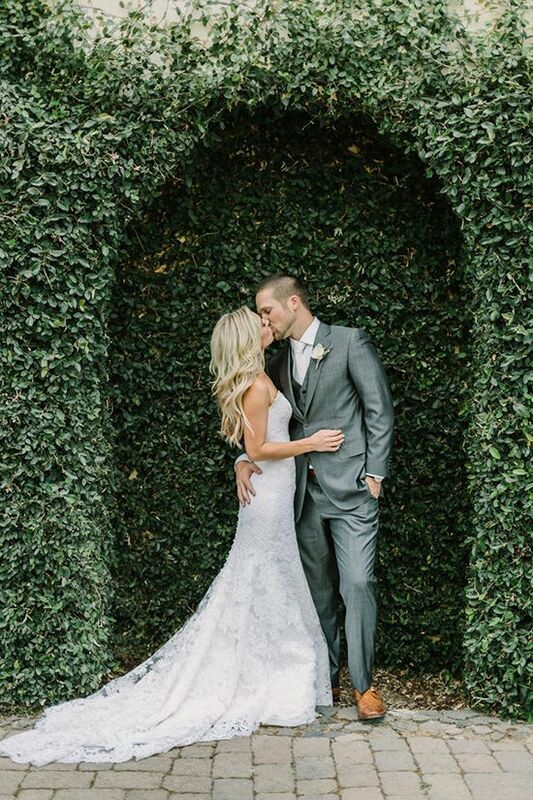 For the ceremony, K. Burnham Floral Design created an arch of greenery, dotted with bright berries. 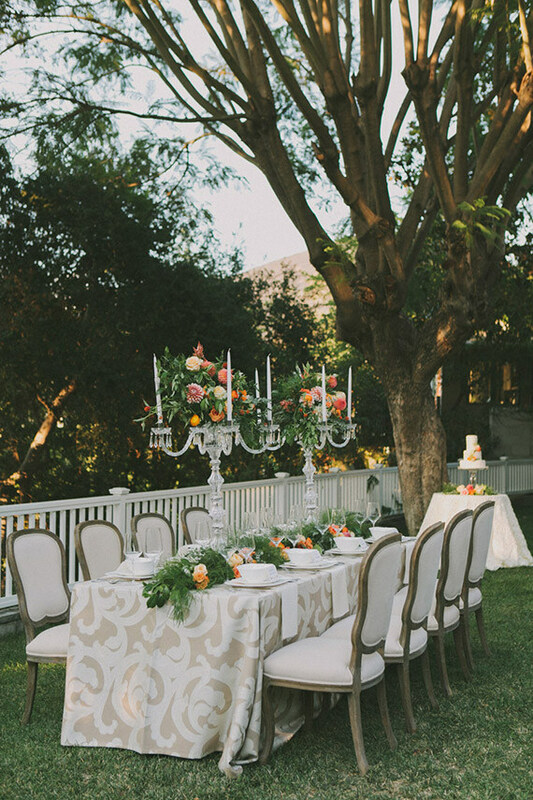 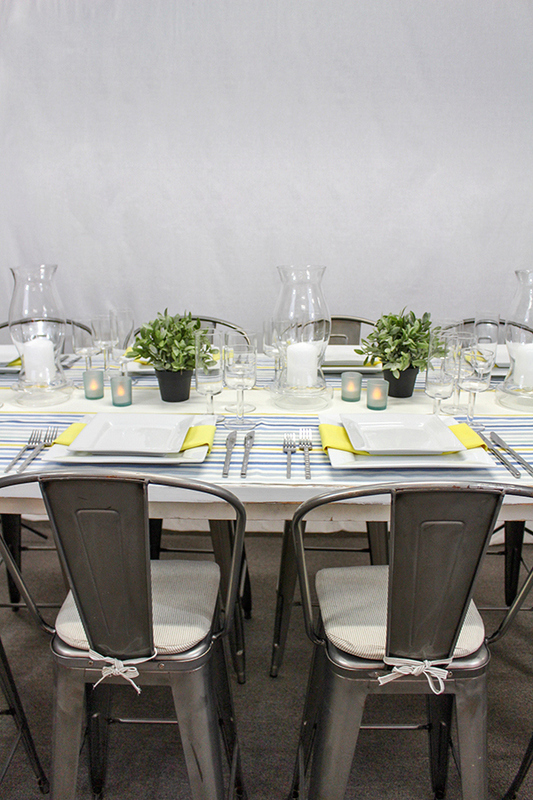 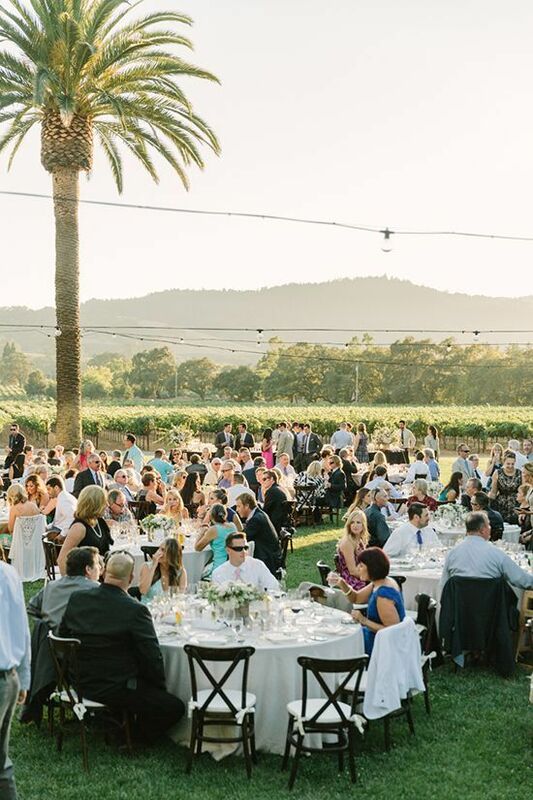 Elegant neutral chairs and a natural aisle runner added depth to the field of green. 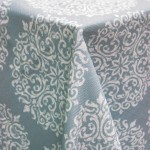 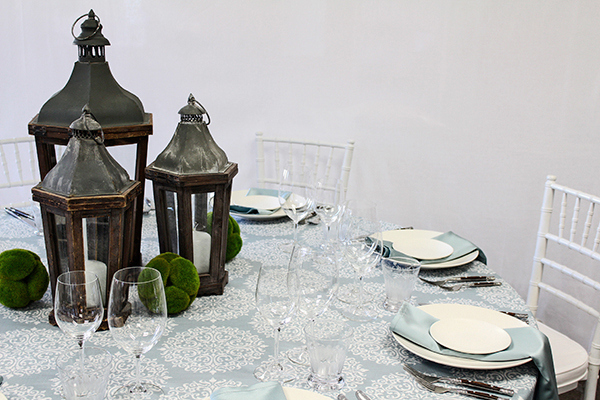 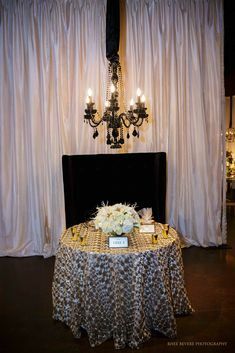 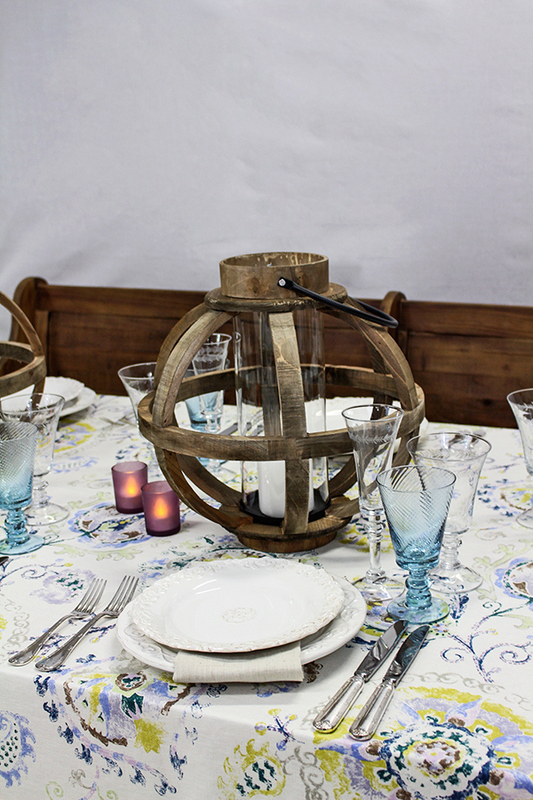 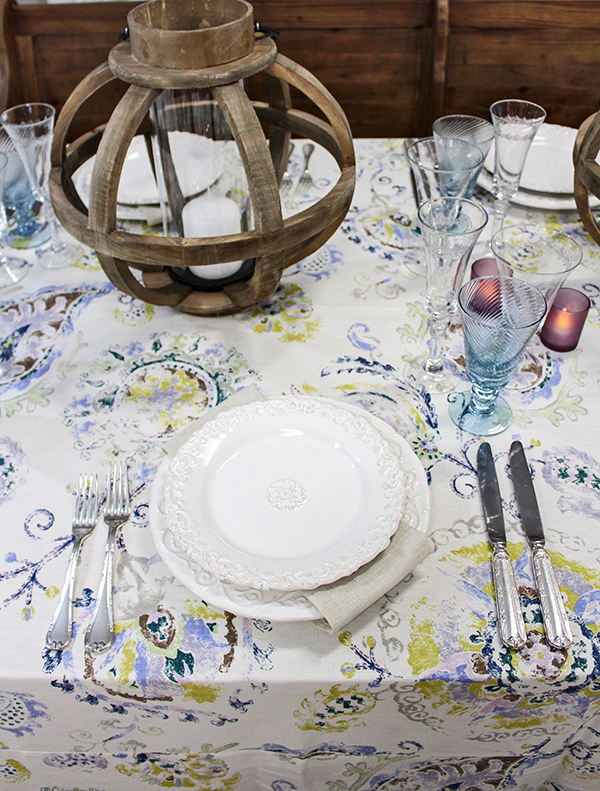 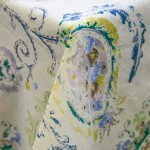 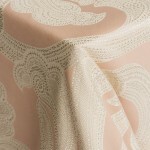 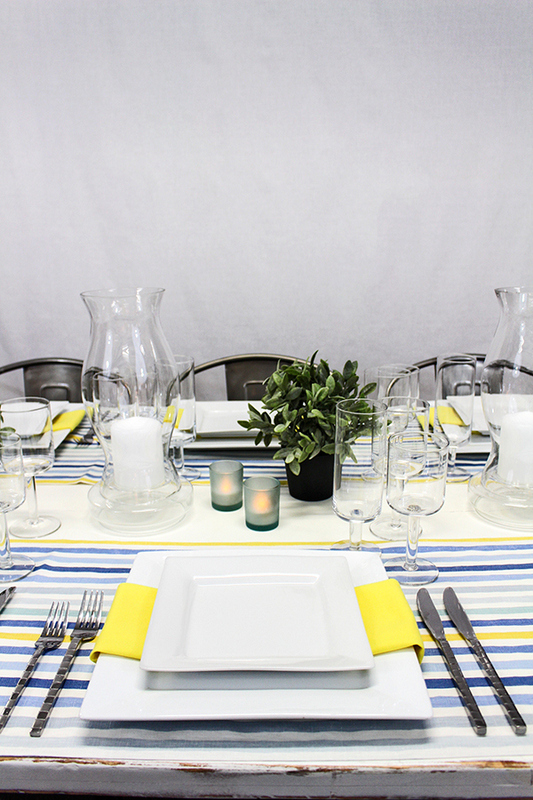 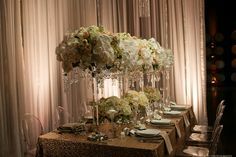 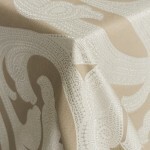 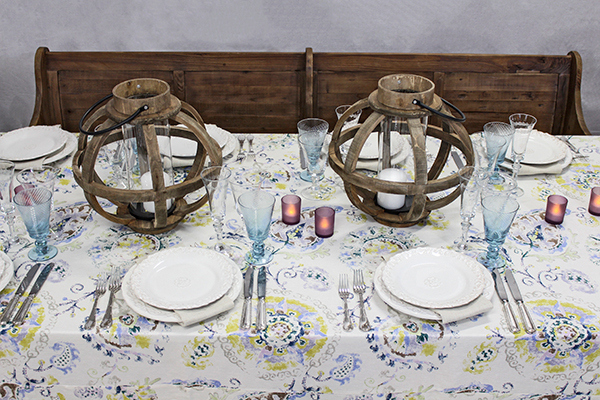 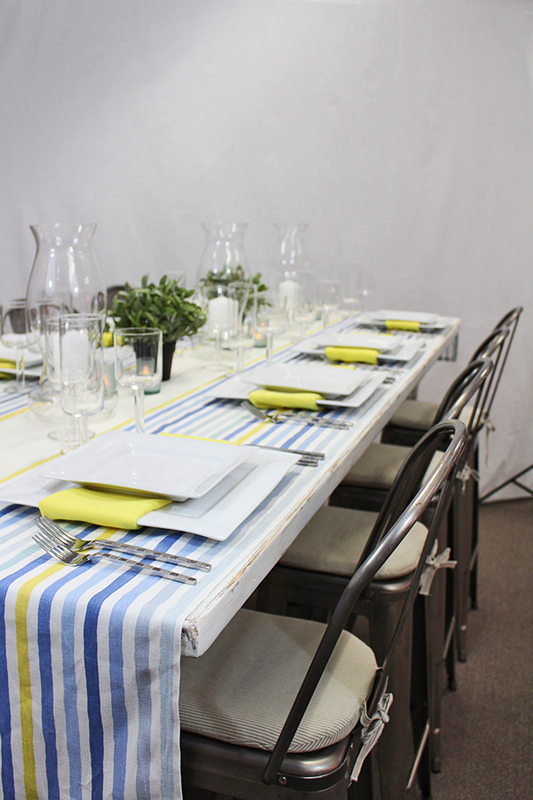 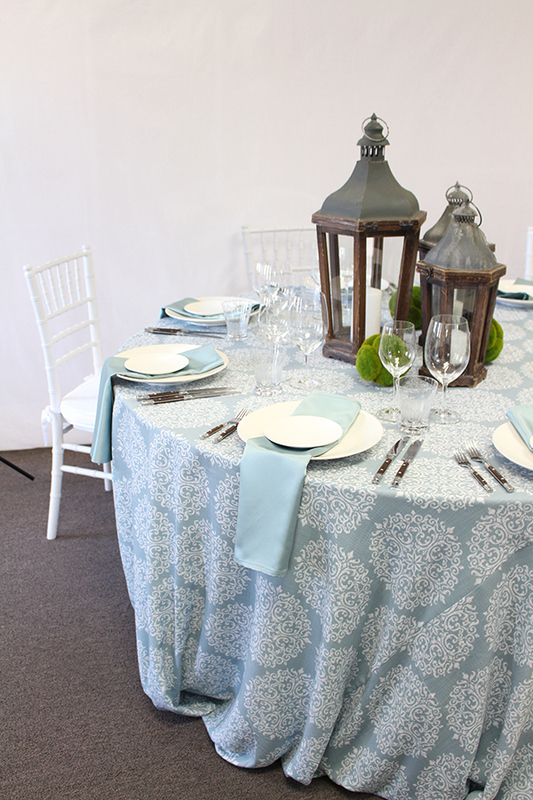 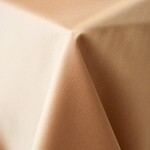 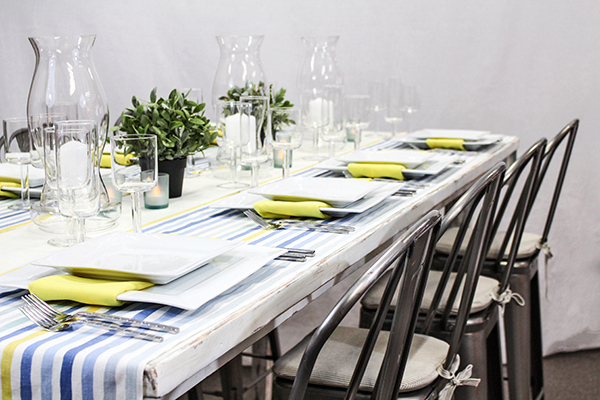 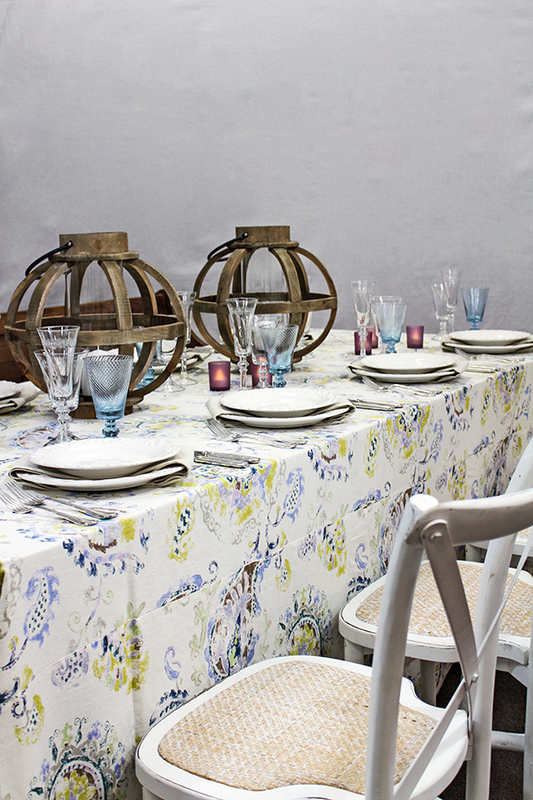 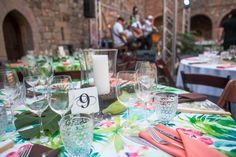 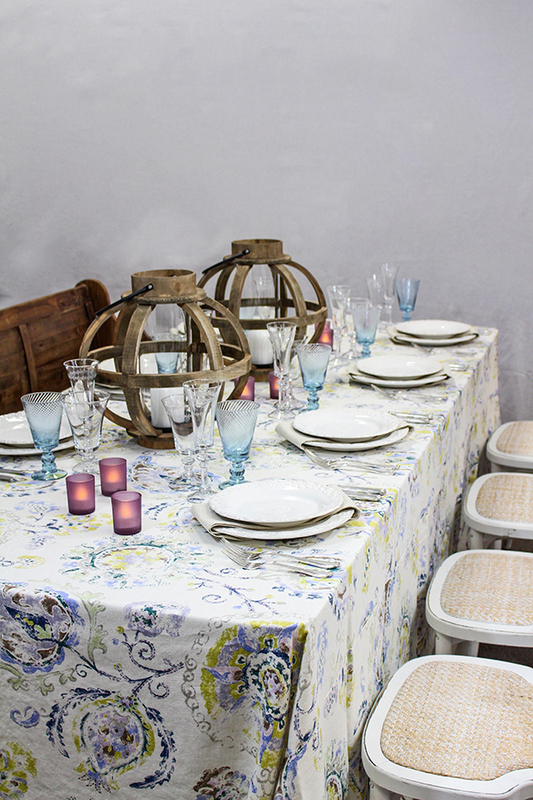 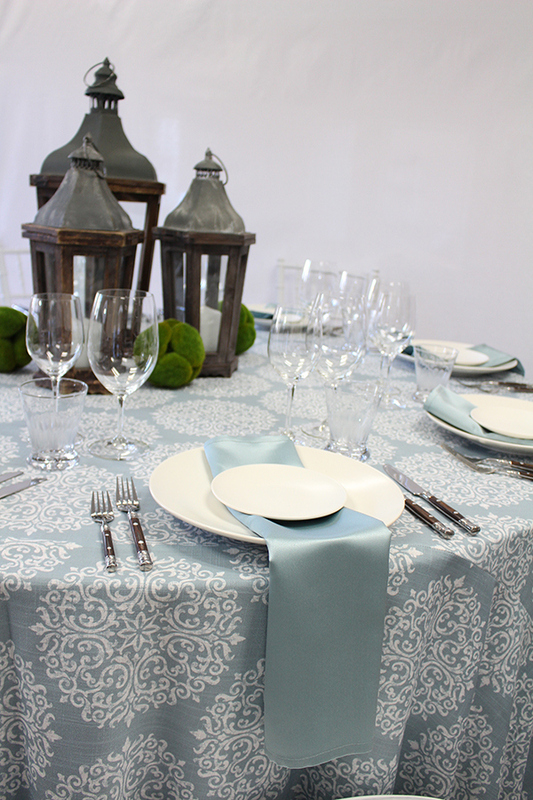 With an intimate celebration in mind, Summer styled a long King’s table with our large-scale print, Ankara Taupe linen. 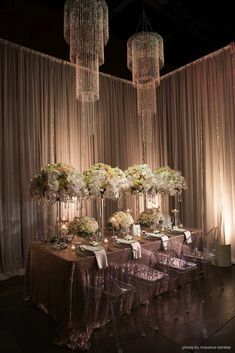 A garland of greenery and bright flowers down the center of the table echoed the ceremony decor, while enormous crystal candelabras added an element of subtle glamour. 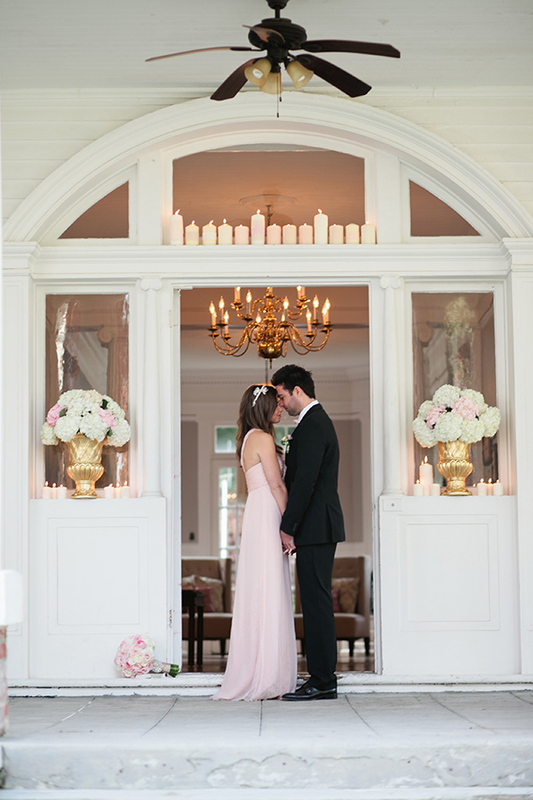 With Valentine’s Day just around the corner, we thought it was a perfect time to revisit this charming Valentine’s Day elopement from Gladys Jem Photography and Charmed Events Group! 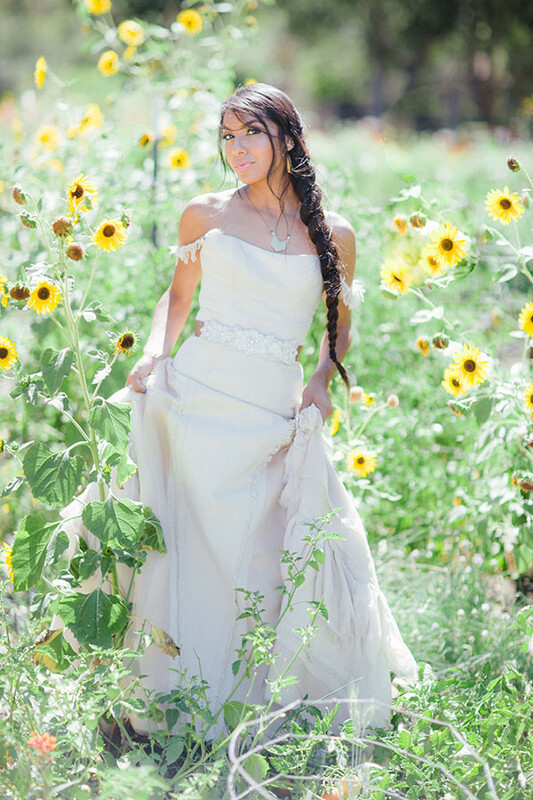 See more on Green Wedding Shoes! 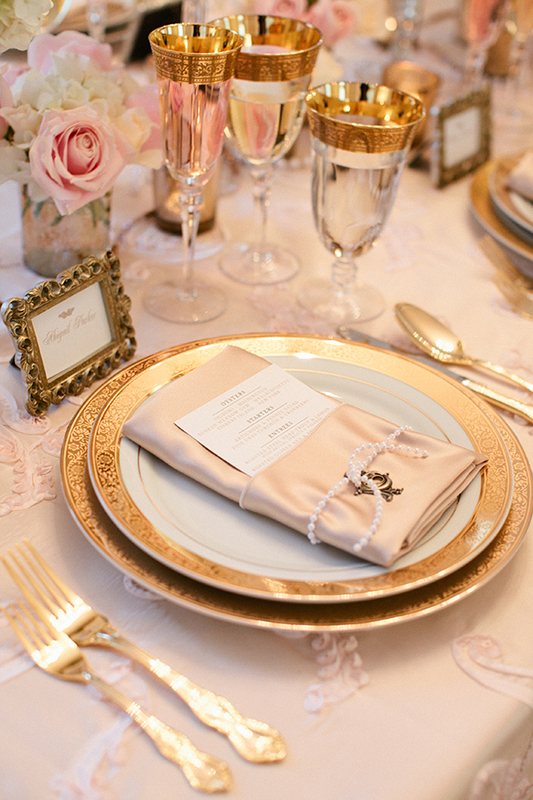 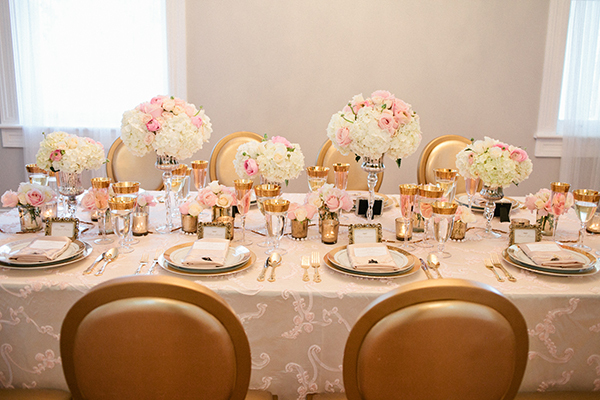 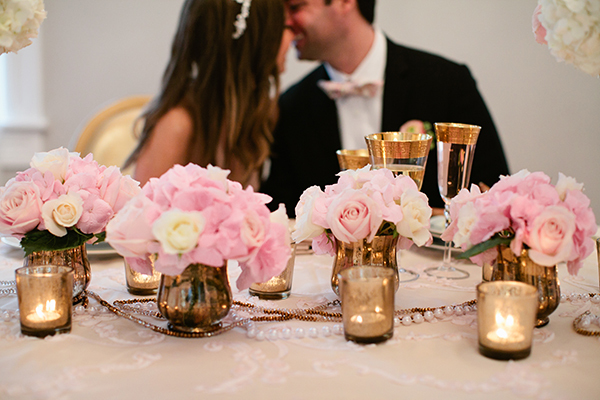 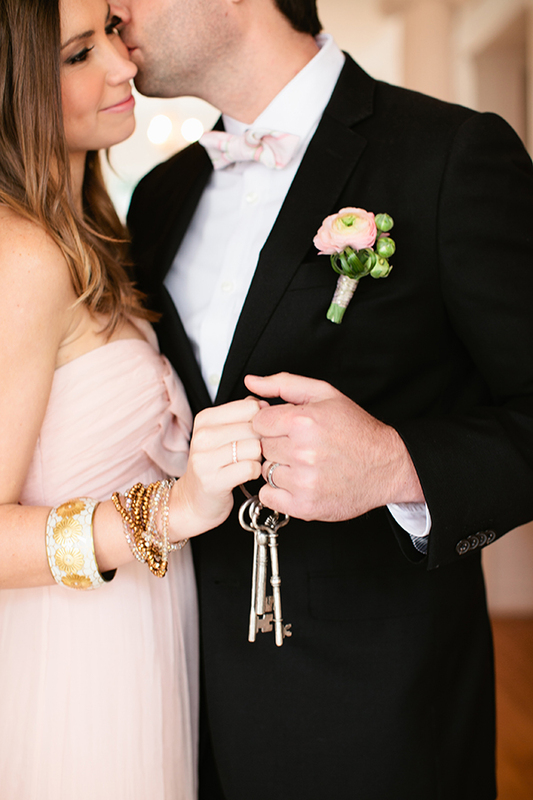 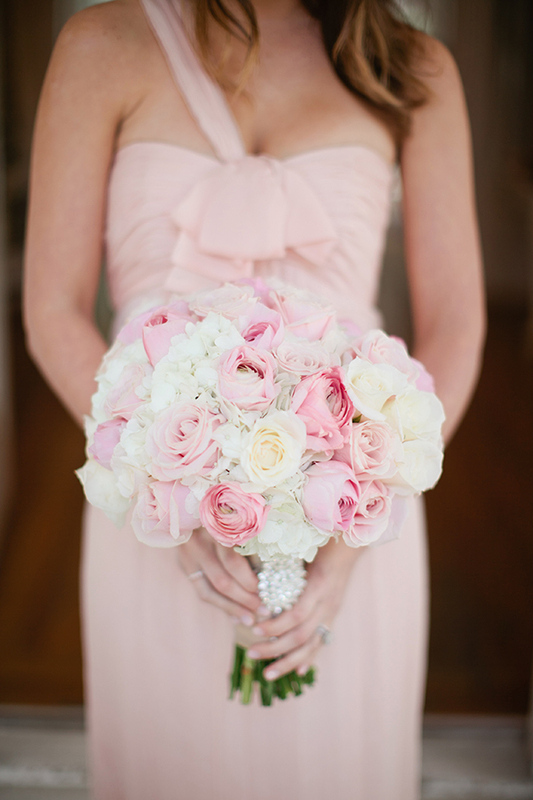 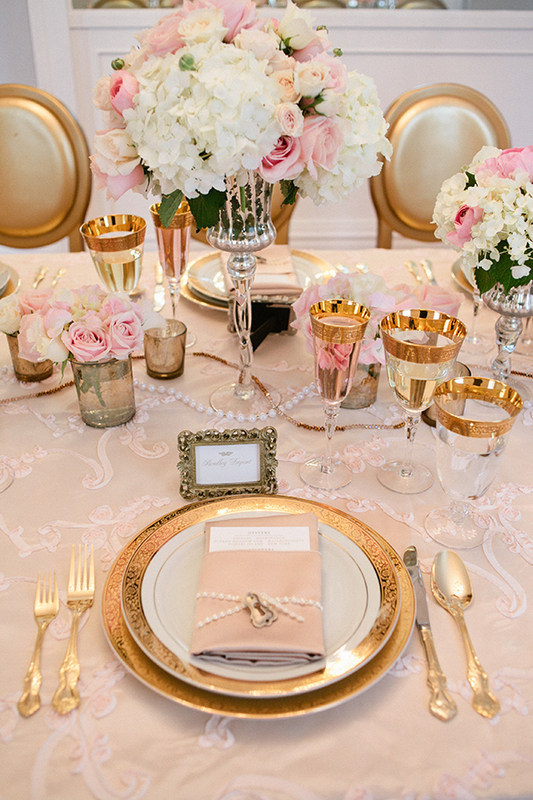 With a ‘Key to my Heart’ theme and a gorgeous palette of blush, white, and gold, this shoot became an instant Valentine’s Day classic! 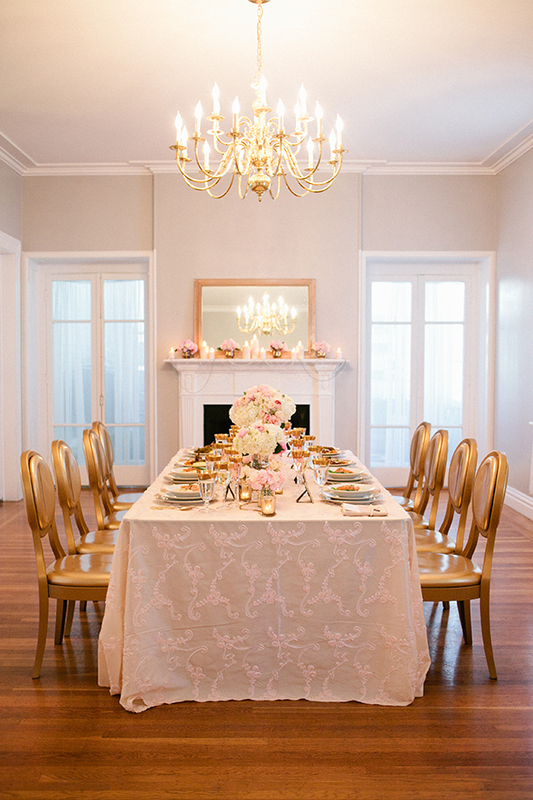 San Francisco’s Nimitz Mansion was the perfect choice for an intimate celebration – the striking architectural details created a lovely backdrop for the shoot, from the candle-lined aisle leading to the ornate mantel, and the gold chandeliers hanging over the Head Table. 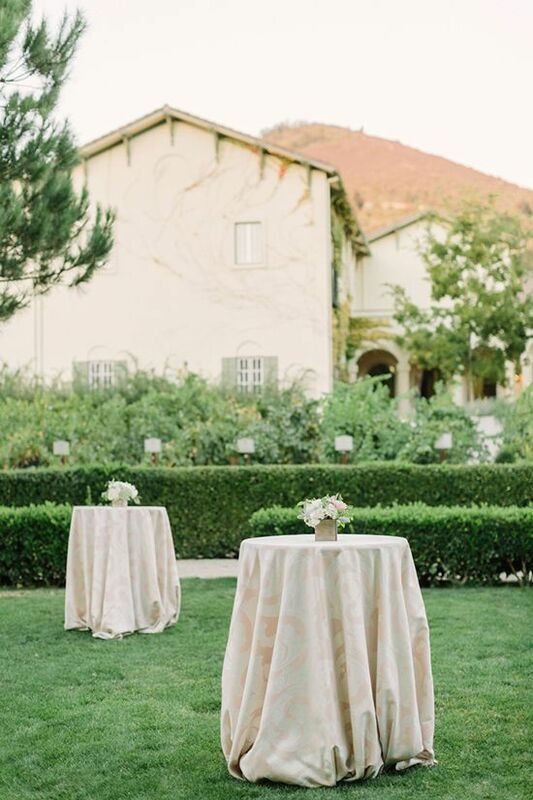 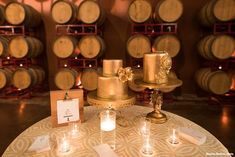 Stylist and Planner Charmed Events Group used the crisp white walls of the mansion as a clean white backdrop and chose a romantic palette of blush and gold. 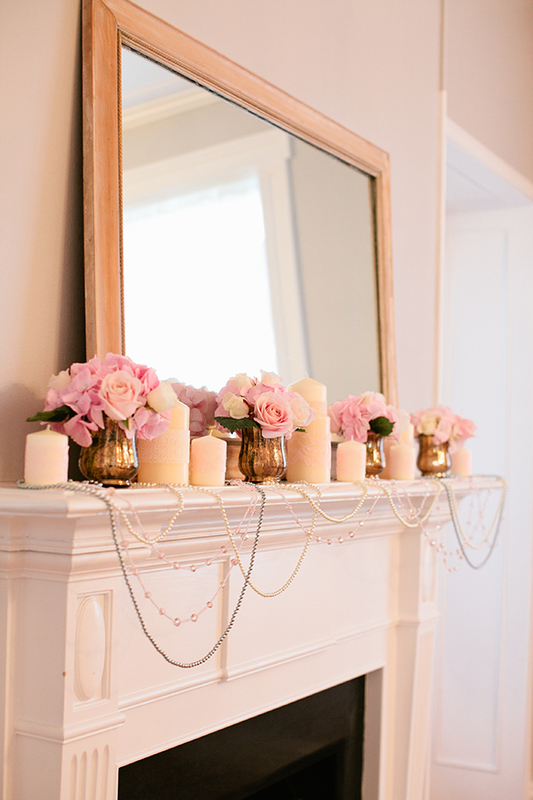 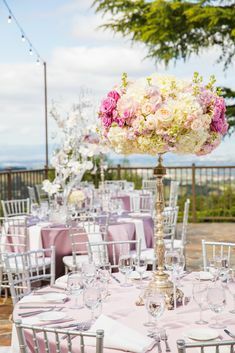 Poppy’s Petalworks created classic arrangements in soft pink and white, lining the aisle and the top of the mantel in silver mercury glass vessels accented with lace and hanging pearls. 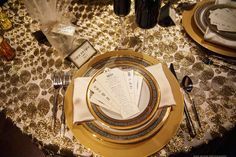 The elaborate Head Table was set with our scrolling Billie’s Roses Ivory linen, which added a hint of pattern to the table in a delicate tone on tone print that didn’t distract from the gold rimmed china and glassware. 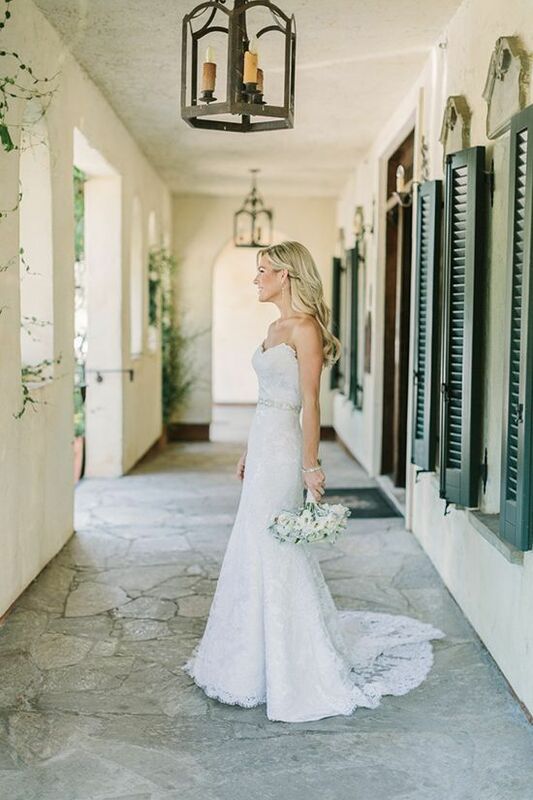 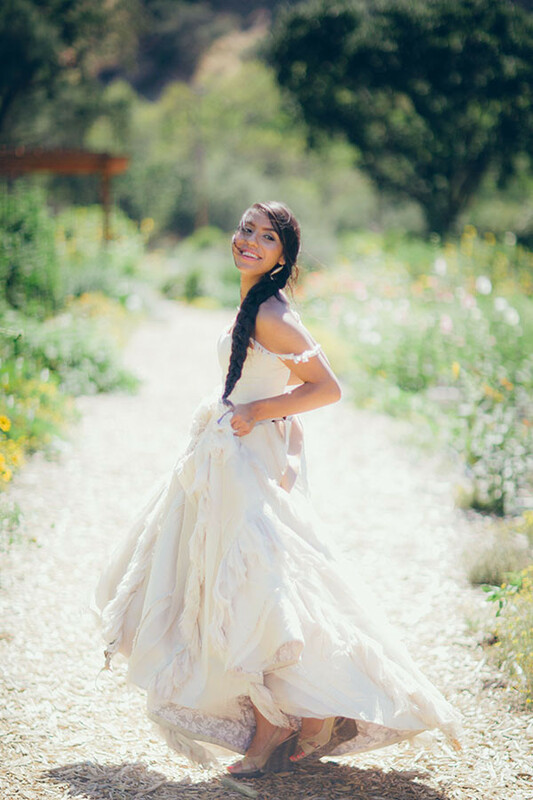 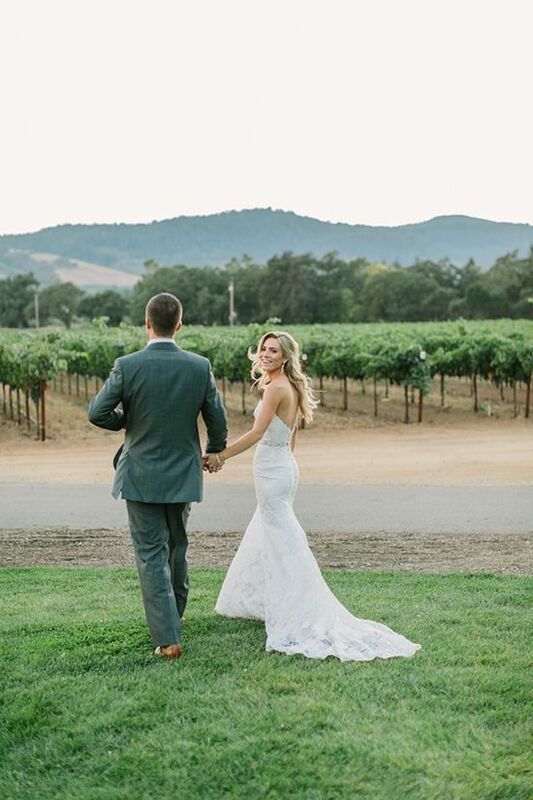 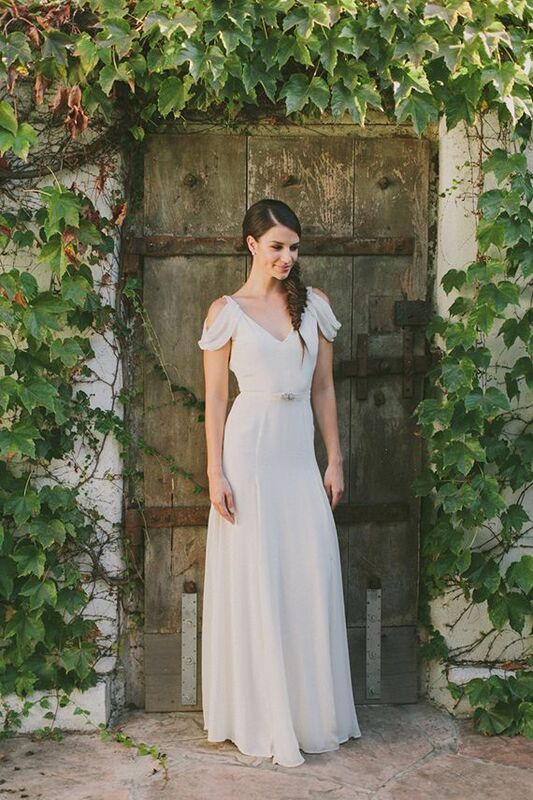 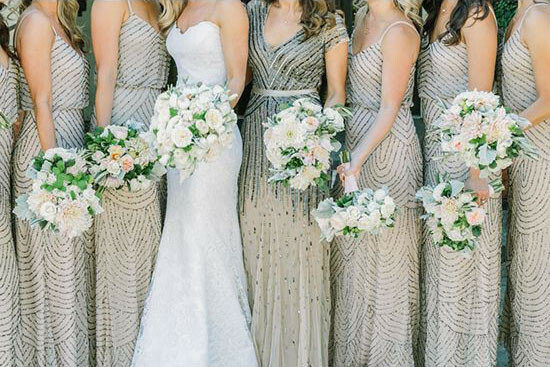 A flowing Amsale gown for the bride made a romantic statement – the non-traditional color paired with loose, flowing waves and a stack of statement bangles was the perfect, relaxed look for an elopement! 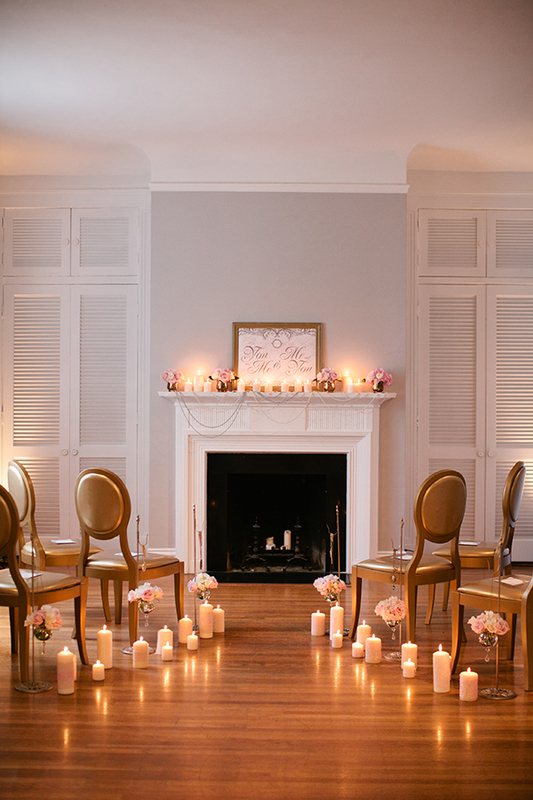 The couple exchanged vows barefoot in front of the fireplace, surrounded by the glow of candlelight.